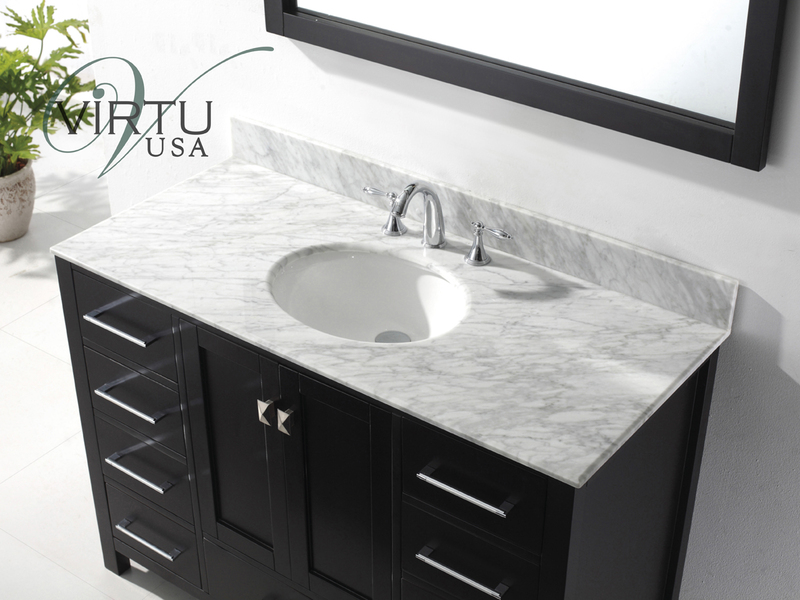 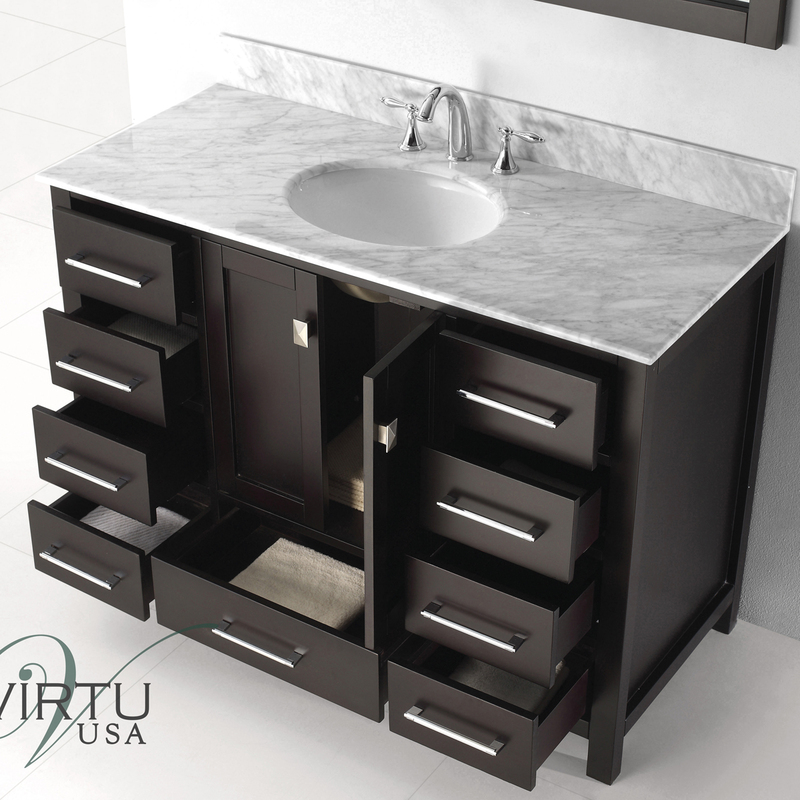 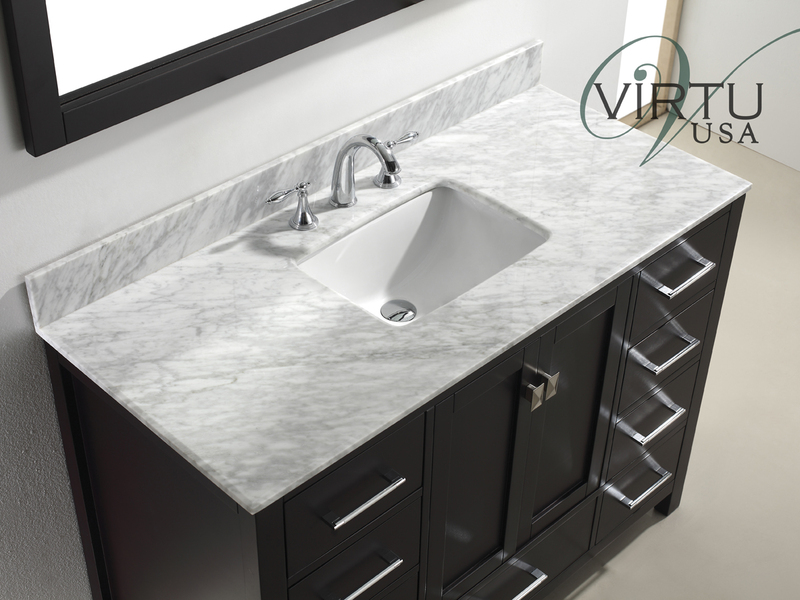 For the spacious feel of a double vanity, with a single sink, the 49" Caroline Avenue Single Vanity brings together space and style for a vanity that looks spectacular in traditional and modern bathrooms alike. 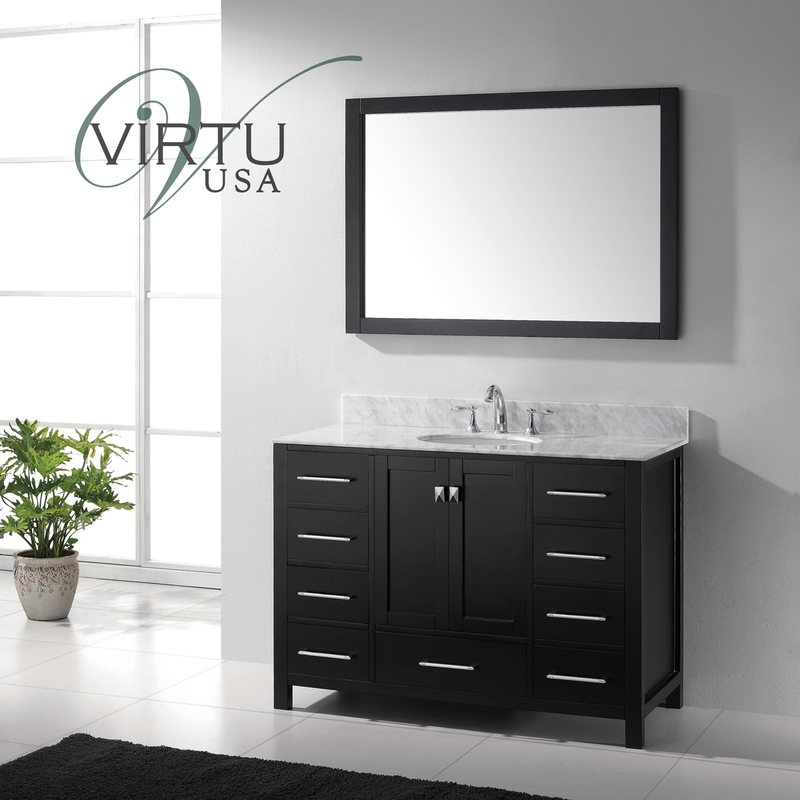 Featuring a solid oak cabinet finished in a deep Espresso, this vanity is topped with an Italian Carrera White Marble top for a contrasting look that gives it subtle modern appeal and traditional sophistication. 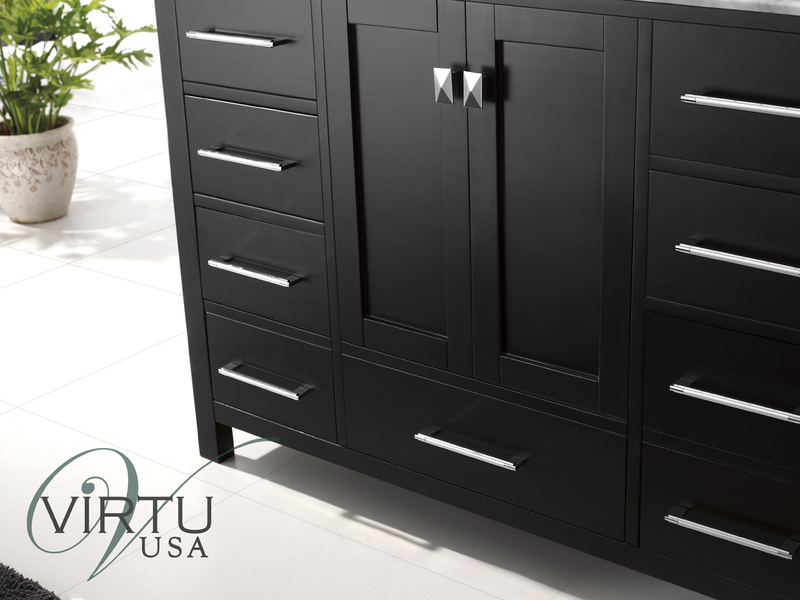 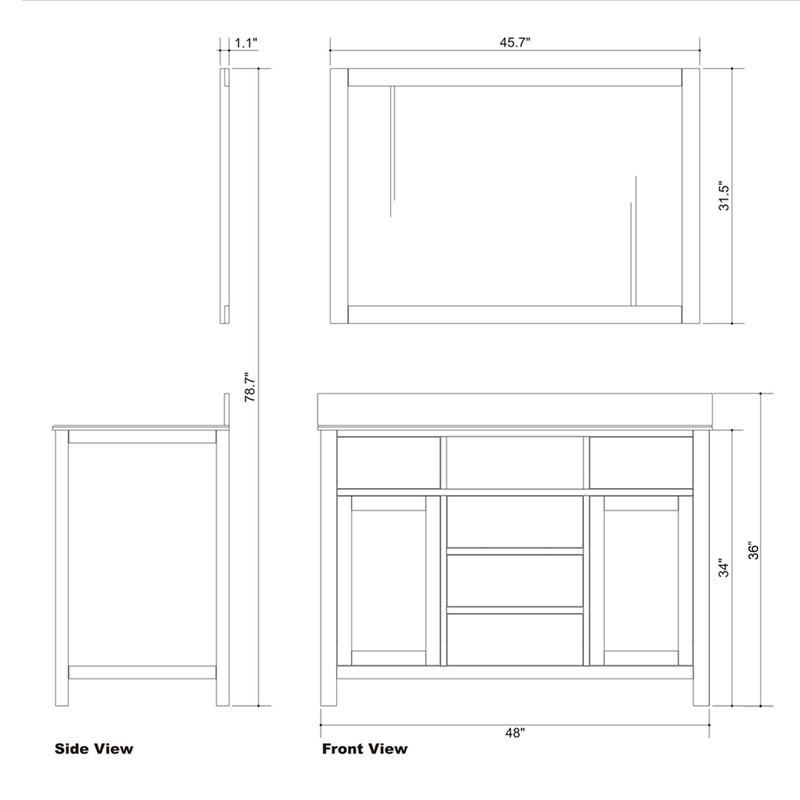 It also offers tons of storage space with its 9 functional, soft-closing drawers and a central double-door cabinet. 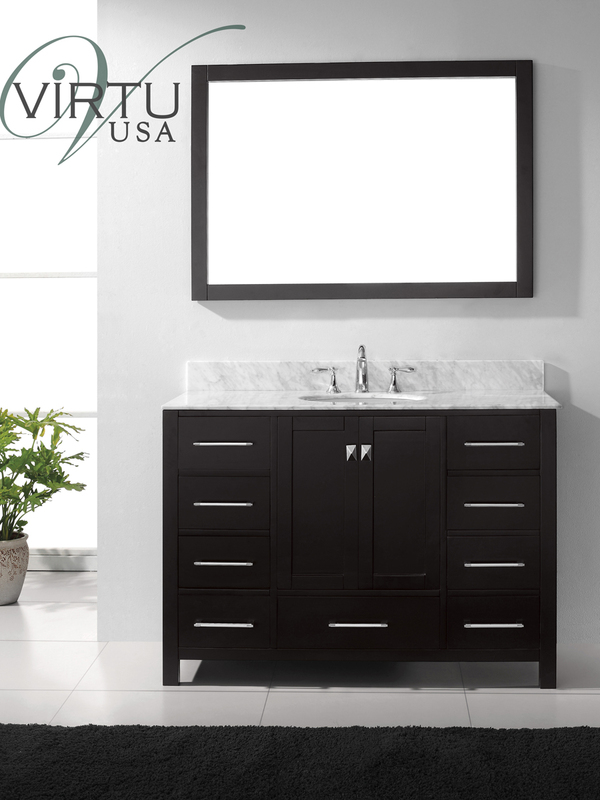 It also includes a matching mirror and ceramic sink in your choice of a round or squared shape.